My friend Alison recently had a cupcake tasting party, so we could try some vegan cupcakes she has been experimenting with. The cupcakes are being made for our friend Sarah's upcoming wedding, and due to her lactose intolerance, a vegan recipe is a good way to ensure the bride can enjoy her wedding cupcakes along with her guests. 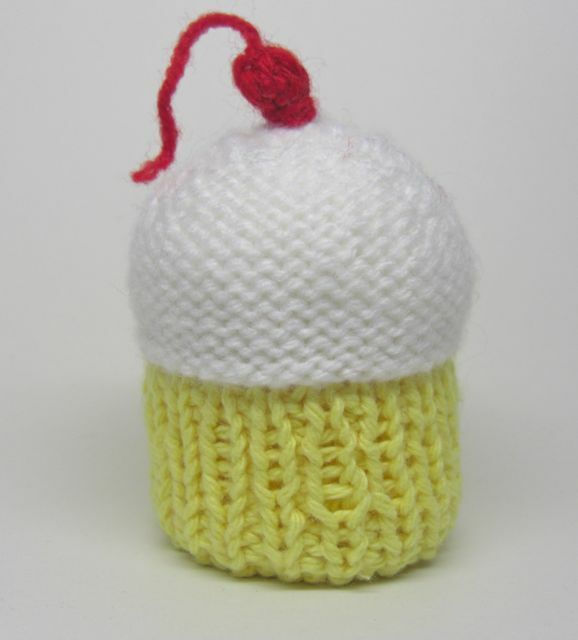 Since I have been expanding my double pointed needle skills, I thought I would make a knit cupcake to take to the hostess of the tasting party. Following a pattern I found through Ravelry (the only place I seem to get my patterns now), I knit this quick and easy cupcake.